On July 9, 2018 the world lost a great soul, son, brother, uncle, and friend. Grant Rozmarin leaves behind his father George Rozmarin and Sister Stephanie Rozmarin Lerner. Grant was a dedicated fan for the band Ween, and the community that followed. 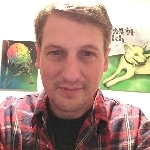 His contributions to the Ween Appreciation Society helped form friendships for strangers, his YouTube channel, "Boognish Monster" provided a channel for fans to listen to the music of Ween, and most of all selflessly helped to form a lasting bond with each person he came in contact with. There are no words to accurately capture how much he meant to the Ween community. As many do, Grant had struggles of his own, but always put others first. Unfortunately, Grant eventually had to face his own battles. Though it may not have shown on the surface, he, like many others, struggled. Grant lost his battle, but he will live on in the lives of so many of which he touched. In lieu of flowers, the family asks that any donations be made to The American Foundation for Suicide Prevention. Suicide is amongst the number one cause of death, and it affects people from all walks of life. All donations will be made directly to AFSP. Rest in Peace, Grant. You will never be forgotten, and will live on through the lives of those you so greatly loved, and who love you more than you could ever know.